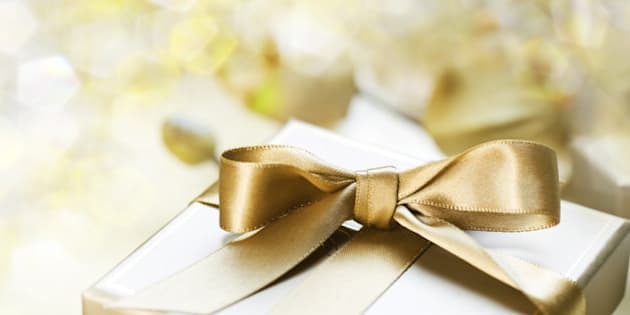 According to a recent survey by coupon site RetailMeNot.ca revealed Canadians spend an average total of $776 on gifts for wedding related events such as showers, engagement parties and the actual ceremony. And that's just one wedding! To keep your wedding budget in check, I've pulled together my top ten savvy spending tips. Don't follow the crowd. We've all received a wedding invitation that includes options for accommodations. Whether it's a destination wedding or simply in a nearby city, couples often reserve a block of hotel rooms for their guests. However, don't assume that this is the best rate available. Before you book any hotels this wedding season, visit a site like Expedia.ca to compare prices on accommodation near the wedding venue. Make it a vacation. Seventy-two per cent of Canadians dislike the costs associated with attending a wedding, such as travel and purchasing new attire. But before you cancel your summer vacation plans to attend a wedding, see if you can have it all! Consider adding a few extra days on either end of an out-of-town wedding to make it into a mini vacation. As a bonus, cash in those credit card rewards you've been saving up, and make sure you look for an online promo code on sites like RetailMeNot.ca before booking everything from your flight to your rental car. Stretch your dollars with a group gift. Looking to deliver a grandiose gift on a budget? Get a group of like-minded friends and family together and pool your resources to get a big ticket item the couple will love! Sites like shareagift.com make this easy to organize. It lets you select a group gift and pay separately while emailing gentle reminders to those who agreed to contribute so you're not chasing down the cash. Give the gift of lasting romance. For 69 per cent of Canadians, it's the romantic experience that has guests gushing over weddings. With this in mind, never lose sight of the fact that it's the thought that counts, especially when you're planning that all important gift. I love the idea of a date night gift basket for the couple to enjoy after their honeymoon. A perfect package could include a bottle of wine, a gift card to their favourite restaurant and candles to keep the romance going! Find the perfect outfit. Travel, gifts, wedding showers, bachelor parties...the costs of wedding season can skyrocket. Add new clothes and shoes into the mix and it's easy to blow your budget with Canadians spending an average of $325 on wedding attire alone this season. To save this season, rent a designer dress. Check out sites like RentFrockRepeat, which allows you to rent designer dresses at a fraction of the cost. Still have the urge to splurge? If you do want to buy something new, opt for a classic black dress you can wear to more than one wedding and buy accessories to make it unique for each occasion. Retailers like Joe Fresh carry well-priced and stylish jewelry which can help to differentiate each look. Learn to share. Twenty per cent of Canadian women would never wear the same outfit to more than one wedding. In order to keep costs low, plan a night with a group of your girlfriends and get together to swap and share wedding and travel attire. Tell your guests to bring their dresses, shoes, accessories and even their beachwear (for those destination weddings). Hunt for registry savings. With Canadians planning to spend an average of $239 on the wedding ceremony gift alone, every chance for savings counts! Just because you have specific stores to shop at (at the happy couple's request), it doesn't mean you can't still snag a great deal off a registry. Don't make a purchase -- big or small -- without first checking out your favourite online coupon site. Who says you have to pay with cash?. People often forget about their credit cards when purchasing gifts for themselves, let alone a gift for another. Credit card rewards allow you to purchase items that would likely be on your couple's registry for points instead of cash! Scan their registry to get your gift inspiration and then check out in your rewards store... they'll never know the difference! Give an upgrade. This might a great time to cash in the hotel or airline points you've been collecting and surprise the bride and groom with an unexpected first-class upgrade. If your rewards or points program allows you to gift an upgrade to someone else, that would definitely be something the bride and groom will never forget. Create an all-inclusive spending plan. Be sure plan your spending BEFORE you head out to shop -- and stick to it. When setting your budget, be sure to consider all of the sneaky costs we can tend to forget to plan for, including bachelor and bachelorette parties, wedding showers, engagement parties, gifts, new clothing, transportation and accommodation.